Studio style cottage with a queen sized bed in the main living area and a double bed in a separate bedroom. Well equipped with all the essentials and basic pantry provided with initial breakfast provisions. Situated on a rise with views over the family vineyard and Balcombe Creek Reserve. A pleasant 3 km stroll along the estuary boardwalk into Mt Martha Village and beach, or in the opposite direction a 1.7 km walk to the historic Briars Homestead. Only a drive away will open up all the attractions of the Mornington Peninsula. Within walking distance of Mt Martha Beach, along the Balcombe creek boardwalk. 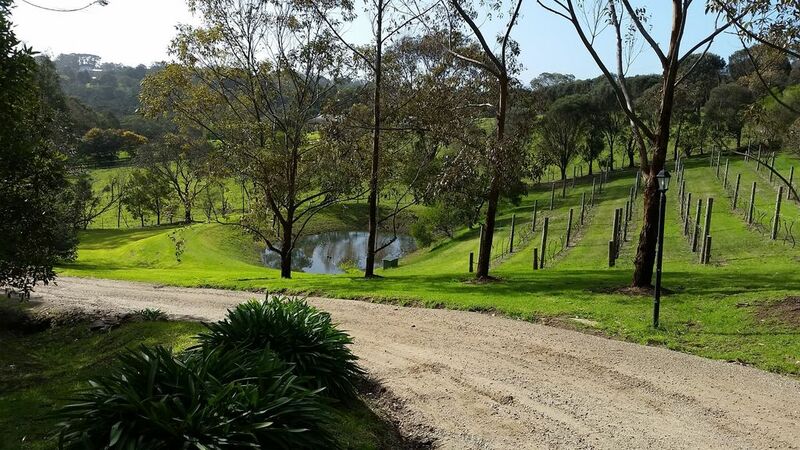 Set on a 6 acre rise overlooking our family vineyard, dam and rural views. Situated opposite the Balcombe Creek Bushland reserve with direct access to a boardwalk into Mt Martha Village. Mt Martha Village is an established seaside village with access to all basic needs - a supermarket, pharmacist, butcher and multiple gorgeous cafes. All basic supplies including tea, coffee, sugar, fruit, cereal and initial hot breakfast supplies. Excellent cottage with everything you could want. Loved the bush setting but close to Mount Martha. We had a wonderful stay here over Christmas. The property is beautifully located amongst trees and is very private from the other cottage next door. The house was immaculately clean and the fridge was stocked with essentials. Beds were very comfortable and we even had a Christmas tree to put up. One thing to bare in mind is there is limited WiFi so you wont be able to download movies or watch Netflix all night. We’d definitely stay here again! For those like me who wanted to come and recharge their batteries, it could not have been more idyllic. Beautiful surroundings, gracious hosts who provided anything I needed, quiet and restful and good facilities close to a little shopping village. I coudn't have asked for anything more. We were very warmly welcomed to a very comfortable and charming cottage. The location is lovely and only a short drive or a half hour walk from Mount Martha village and beach. Generous breakfast supplies were supplied as well as coffee, tea and biscuits. Every comfort had been considered including WiFi access which was a great bonus. Highly recommended.